Looking for private in-home or in-studio Opera Voice lessons? Our Higley teachers are ready to get you started. Find your teacher today! 'Having performed in operas such as 'Cosi Fan Tutti' and sang in various choirs, I have experience in 'Opera Voice' (or also called 'Classical Voice.') Both as a vocal pedagogy teacher and vocal coach (emphasizing the story-line of the operatic piece) - my background is uniquely suited to be of assistance. Whether singing in German, Italian, English (etc) - you will gain assistance with your efforts. I use the IPA as a foundation for assisting my students in their performances. I teach Opera Voice and have extensive curriculum and teaching materials. During the first lesson, I determine the student's vocal range by having him/her sing up and down the scale. 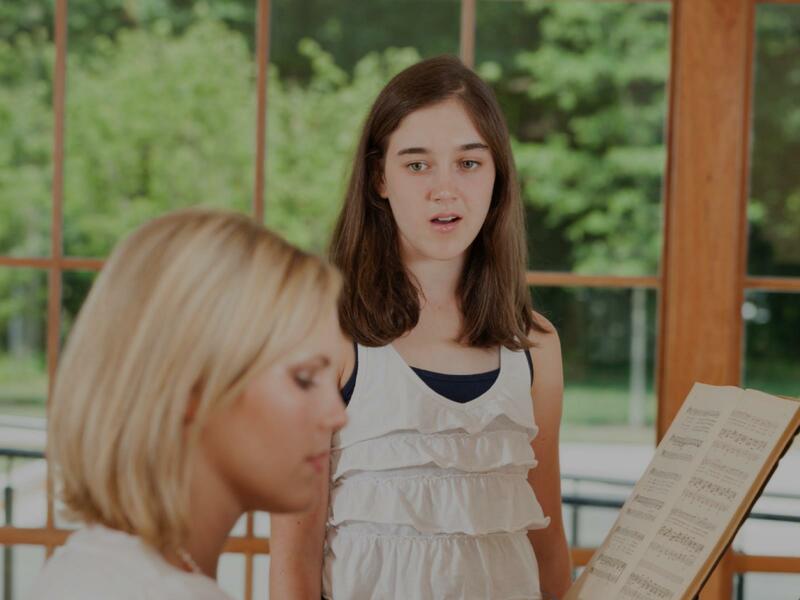 I teach vocal techniques, correct diaphragm breathing, correct singing stance, diction and vowel formation, emoting while singing, connecting to the song, memorization techniques, understanding music history, and much more. I have a B.A. in Music Education with a vocal emphasis. I have been trained in the Alexander Technique and have had 7 semesters of private classical voice lessons. Additionally, I have sang classical music in college choir and have sung a repertoire including "The Requiem" , "Gloria". and "The Messiah." I am a classically trained singer and have been performing for over 15 years in Europe and USA. I teach Voice since 2009. Bel canto (Italian, "beautiful singing") is a technique that originates in the days of Italian opera where control and the tone quality of the voice were paramount. From the beginning (and always), I will emphasize the basics -- posture, breathing, and tone production. Your developing technique will be tested with traditional and classic songs and arias. Correct pronunciation of English in singing is built on the foundation of the simple and pure vowels of Italian. This also applies to singing in French, Spanish, German, and Russian. Further, the classical musical literature in Italian is very well suited to building and displaying great voices. Classical vocal training focusing on learning breath support, expanding range, musicality and freeing your voice. Coaching also offered for audition and competition preparation. Singing opera takes a love of the music, dedication and superior technique. It has been Ginni's pleasure to help students sing music from operas for 23 years. Ginni asks her students to remember three things: Try, Relax and Have Fun! My favorite part of teaching "Opera Voice" is working with high school/undergrad students who are just learning about the art form/working to strengthen their Classical technique. Delving into different languages, art song vs opera, and sharing the great dramatic range available in Classical singing makes this subject enjoyable for me to teach which helps my students enjoy learning it. Whether you want to be the next Bryn Terfel, Renee Flemming or Pavarotti (in a few decades anyway) well ... I won't claim to get you there, but I absolutely can give you a foundation to build on for however long singing continues to strike your fancy. Hullo! I'm Frances and I've been teaching private voice lessons since 2008. In the past my students have been cast in roles in high school and community theater, they have participated in Regional Choir, and auditioned successfully for collegiate music programs. I received my training at Belmont University, graduating in 2008 with a degree in Classical Vocal Performance. After teaching privately and auditioning for a few years I realized I wanted to return to school so I could be better equipped to teach. I spent two years at ASU refining my own voice while experiencing new teaching techniques. I finished my advanced degree in May, 2016 and now have a Master of Music: Vocal Performance and Pedagogy. the voice through proper, healthy technique will be challenging but should also be enjoyable. I am also now offering private piano lessons which I've taught off and on since 2004. My own lessons spanned the four years between eight and twelve and then a year at Belmont University, where I passed piano proficiency as an entering freshman and was able to take privately with a professor trained at Julliard. My theory work from both my undergrad and graduate schooling will allow me to more adequately teach that side of piano performance and I am excited to add piano lessons to what I offer. Great first lesson. I was a bundle of nerves, Frances put me at ease. I look forward to our next lesson. Frances trained me for 5 years in both Broadway voice and Classical voice. She adapted her teaching to work with my strengths and weaknesses and knew exactly what I needed whether I was singing a piece for church or a production that I was in. In addition to adapting her teaching style she also always knew which songs were appropriate for my voice style and which songs I should learn in order to push myself and grow. Not only does she know her stuff but lessons are full of laughter and they are one of the most enjoyable parts of learning to sing. I was preparing to audition for ASU's Music Therapy program. After working with Francis for a semester, having had no prior private voice instruction, I passed my audition! She's great to work with, pushes you to be the best that you can be,and knows her stuff! I absolutely recommend her to anyone looking for a voice teacher. Preparing for a high school or college music audition? Enjoy singing for fun and interested in learning how to improve your vocal technique? No matter what style you enjoy singing - classical/opera to musical theater to pop and beyond - all lessons are focused on helping you reach your singing goals with a healthy vocal technique.